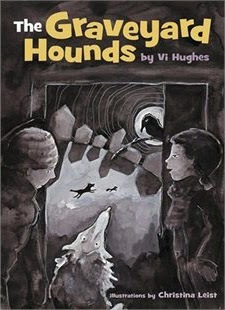 The Graveyard Hounds written by Vi Hughes and illustrated by Christina Leist is a spooky mystery. This easy to read novel begins, as all truly scary novels should, with a violent lightning storm. Afterwards strange things start happening at Annie and Mike's school. Then dogs start losing their bark. I found Malice by Chris Wooding to be painfully terrifying. 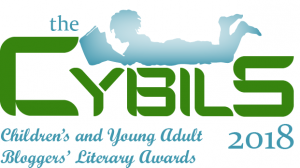 This is a novel best read by students in grades 6 and up who are not faint of heart. 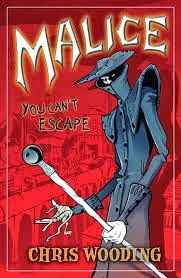 It's the story of teenagers tempting fate and getting trapped inside an horrific comic world where they are forced to fight for their lives. 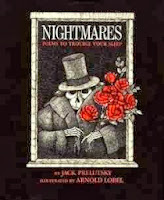 The first time I read Nightmares: Poems to Trouble your Sleep by Jack Prelutsky, (published in 1976) I fell in love with it. 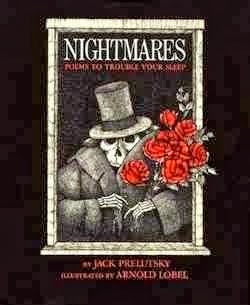 It remains my favourite Halloween poetry book to this day. 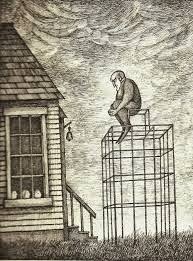 It contains descriptive poetry about witches, werewolves, zombies, vampires and more. One of the most terrifying is The Ghoul. and pulls apart their tongues....."